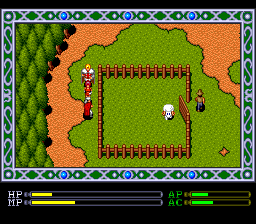 Exile was released by for both the Sega Genesis and TurboGrafx-CD in 1992. It was a remake of a game originally released in Japan in 1988 for various computers mostly unknown to those of us in North America, including the NEC PC-8801, NEC PC-9801, MSX2 and the X1 turbo. The game is an action RPG and features both a top down perspective like the original Zelda and other similar games, as well as a side-scrolling action perspective depending on what you are doing. While the the Genesis and TurboGrafx-CD versions are very close, the TurboGrafx version has a slight edge in some areas. Because it is CD based, there are more cinematics and better music (though this might be a matter of personal preference to some degree). 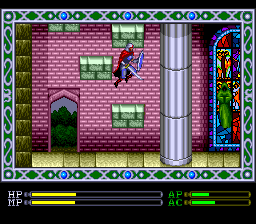 The graphics are very close but the TurboGrafx-CD version has slightly more colors. 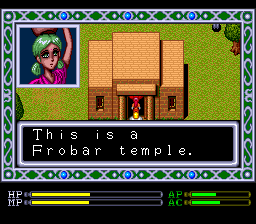 The translation also seems to be a little better and the story more coherent on the TurboGrafx version. However, these are all mostly minor differences. One interesting difference is the fact that the Genesis localization (done by Renovation) censored certain aspects of the game (e.g. naked girls in one scene) while the TurboGrafx-CD localization (done by Working Designs) did not. Overall this is a very good game even if it is not as well known as some others. While I wouldn’t say it is as good as Ys I and II, it’s still quite good and fans of those games will likely enjoy this one. I am not aware of any remakes or re-releases so you will have to resort to emulation or track down and original Genesis or TurboGrafx-CD versions if you want to play. 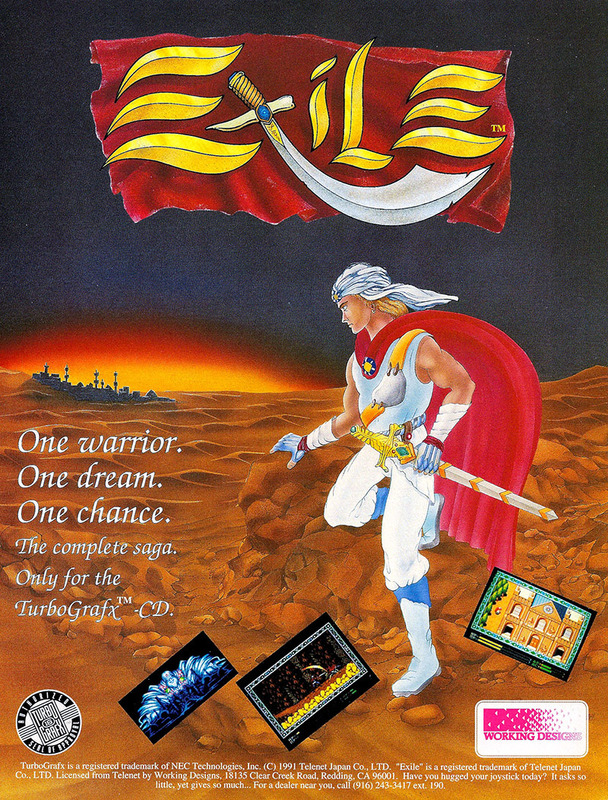 Exile was followed up by Exile: Wicked Phenomenon the following year for the Turbo Duo or TurboGrafx-CD with the Super System Card.